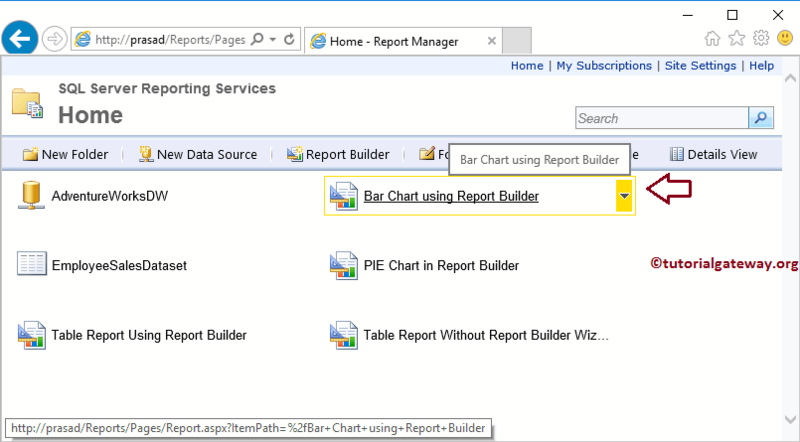 In this article, we will show you, How to create Bar Chart in SSRS Report Builder without using Wizard. 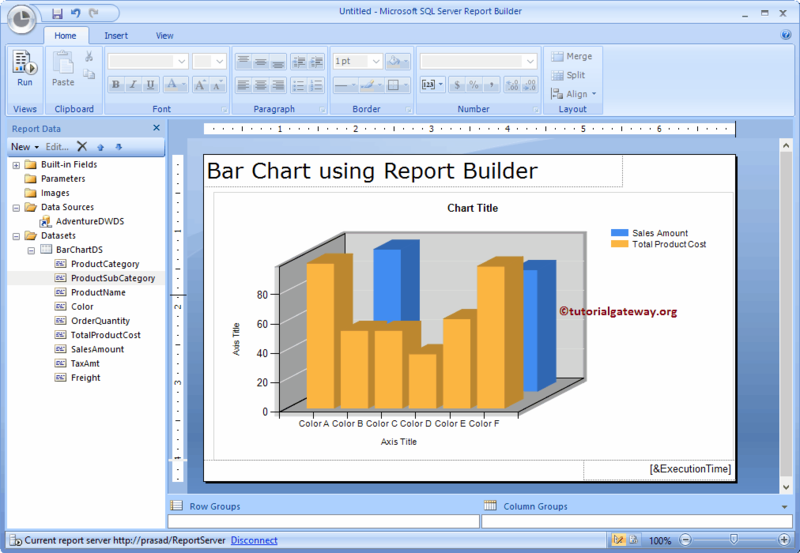 Or say steps involved in creating Bar Chart, or any Chart using SSRS Report Builder. For this, we are going to use the Shared Data Source that we created in our Early reports and an Embedded Dataset. 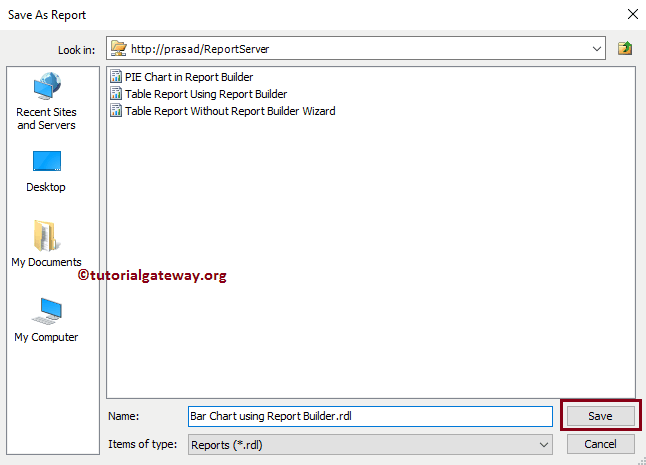 Once you click on the Report Builder button, SQL Server Report Builder will be opened with a starting page as shown in below screenshot. 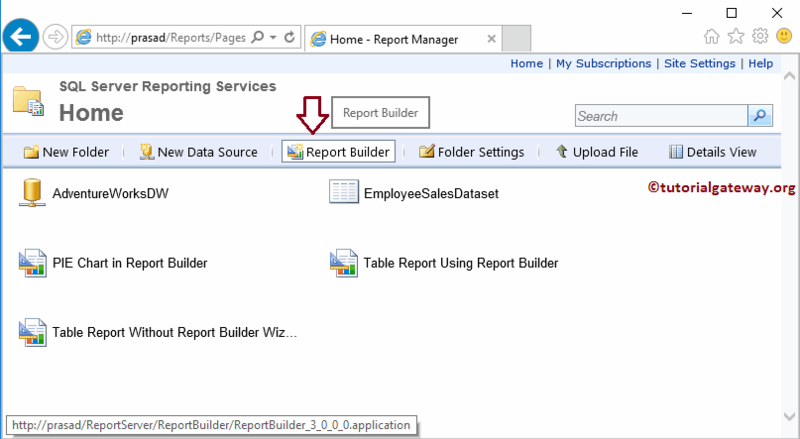 After you select the Blank Report option, report builder will display the Blank Report. We already explained about the Designer Panes in our previous article so please refer Create a New Report article to understand the same. 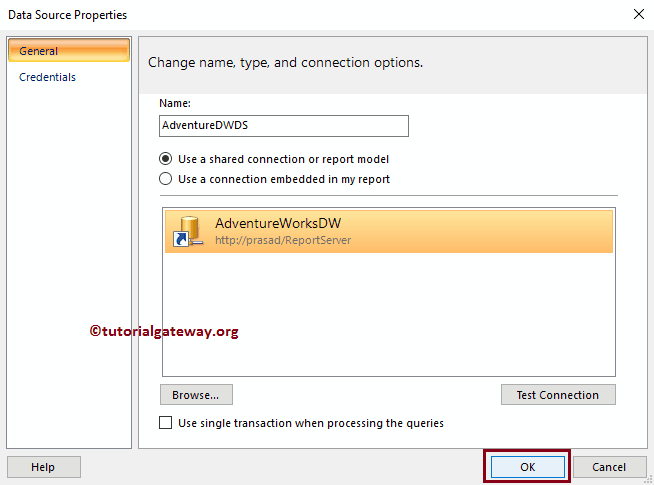 By clicking on that option, it will open Data Source Properties window to configure the Data Source. In this example, we are selecting the Shared data Source that we created earlier. 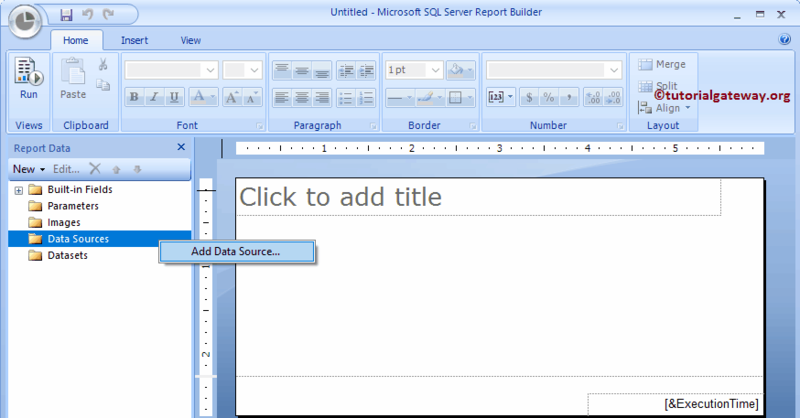 Please refer to Create Shared Data Source in Report Manager to understand the creation of Shared Data Source. 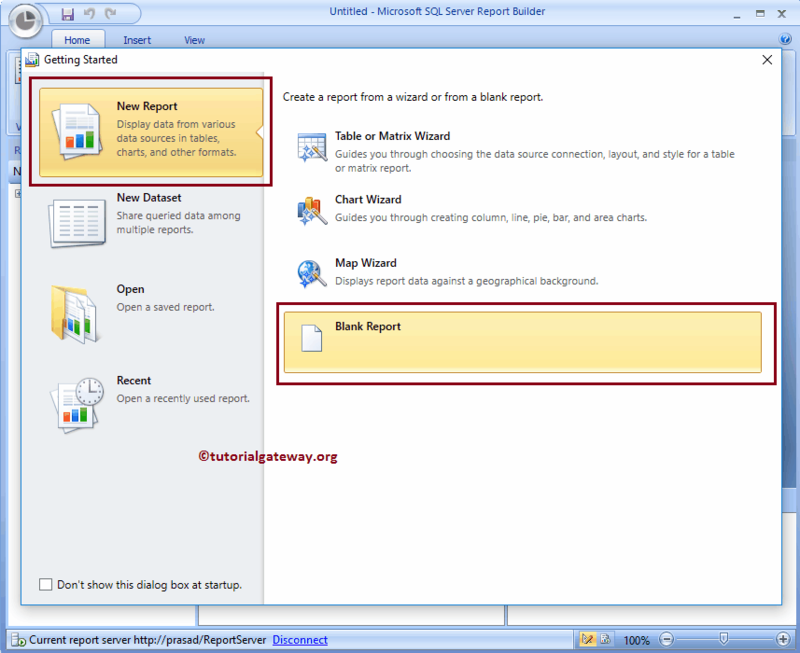 To create a dataset for this report, Right click on the Datasets folder present in the Report Data. 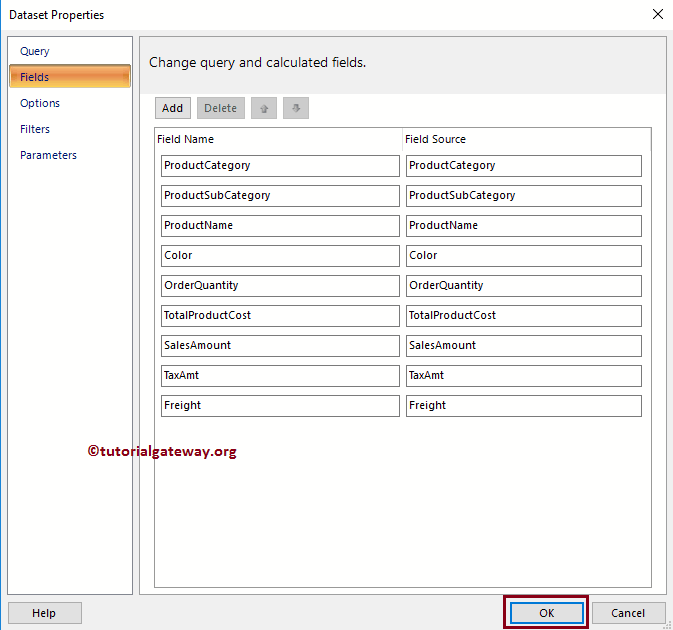 Then select the Add Dataset option from the context menu. This will open a New window called Dataset properties. Here select the first option to select the Shared Dataset that we created earlier. Or by selecting the second option we can create a new dataset also. For now, we are selecting the second option. 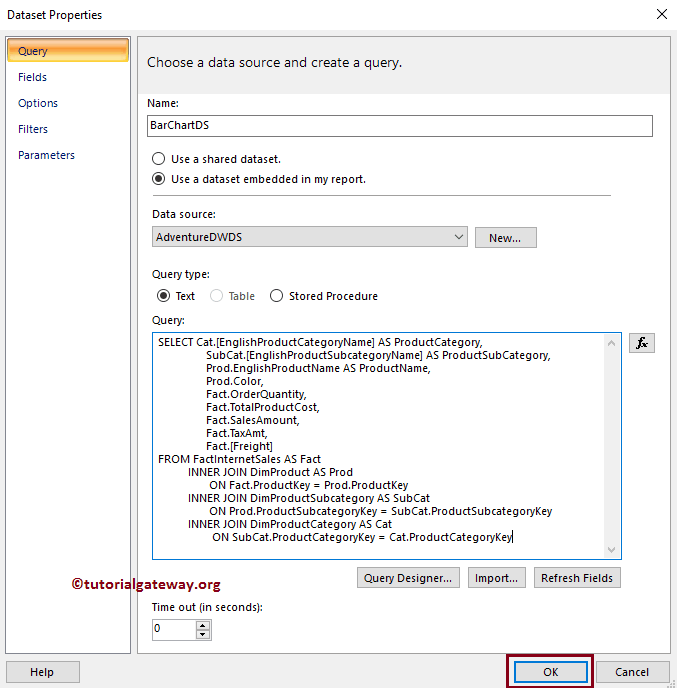 I suggest you refer the Create a New dataset in Report Builder article to understand the steps involved in creating a shared dataset. Let me check the fields that the Dataset is returning. 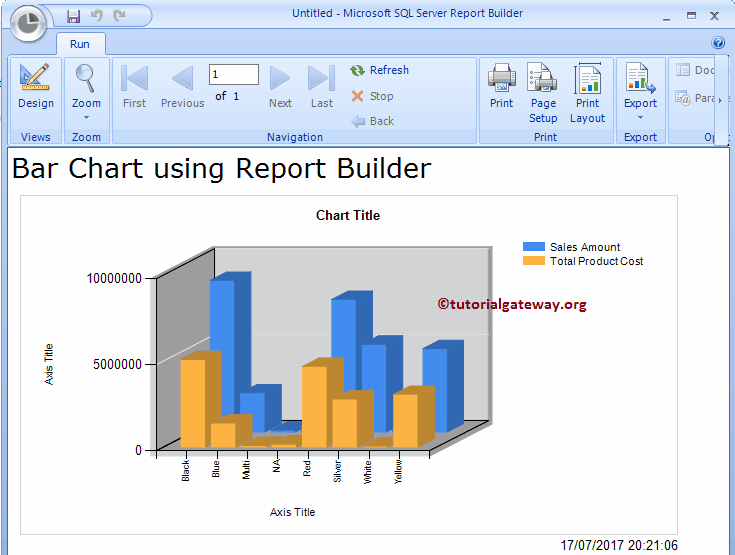 Within the Report Builder please select the Insert Tab to insert the Chart in to report designer. Please click on the down arrow below the Charts button. 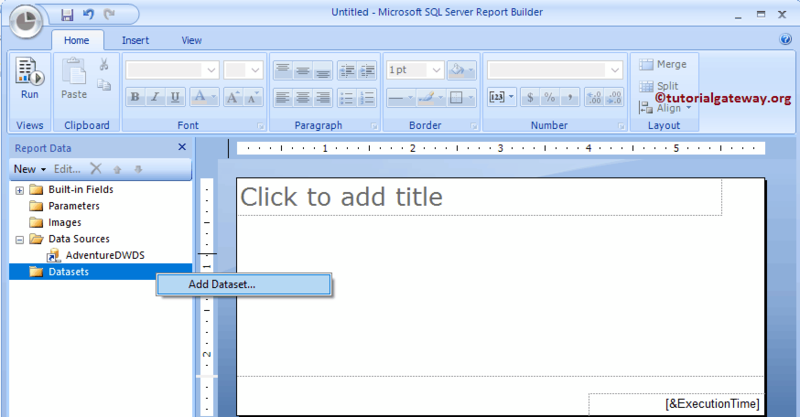 Next, select the Insert Chart option from the Menu to add the table to the report region. 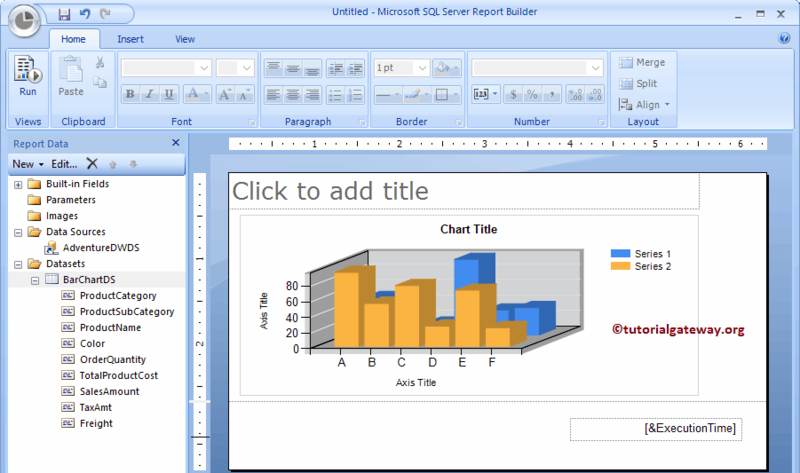 When you drag and Drop the Chart from Insert Tab to Design space, a new window called Select Chart Type will be opened to select the required chart from the available once. 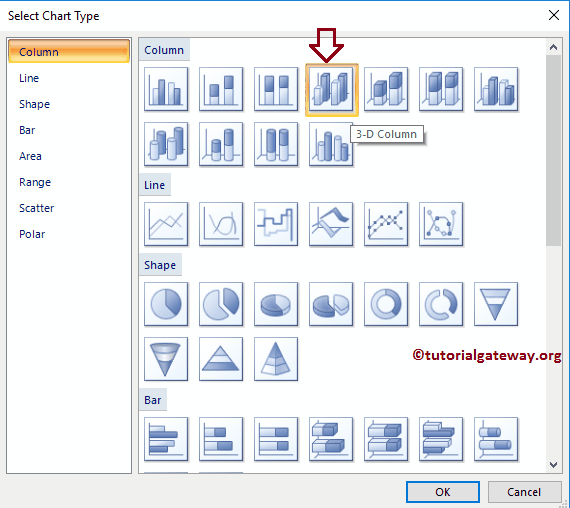 In this example, we are selecting 3D Column Chart as shown in below screenshot. 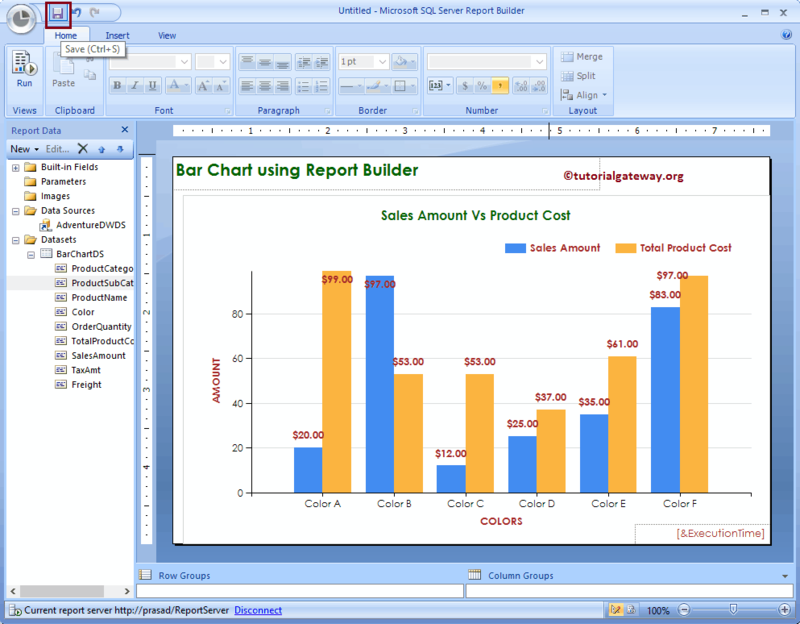 Once you click Ok button, Three-dimensional Column chart will be displayed in the design region with dummy data as shown below. Values: Any Numeric (Metric) value such as sales amount, Tax, Total Sales, Customer count etc. All these values will be aggregated using an aggregate function (Sum, Count etc) because we are grouping them with the category group items. 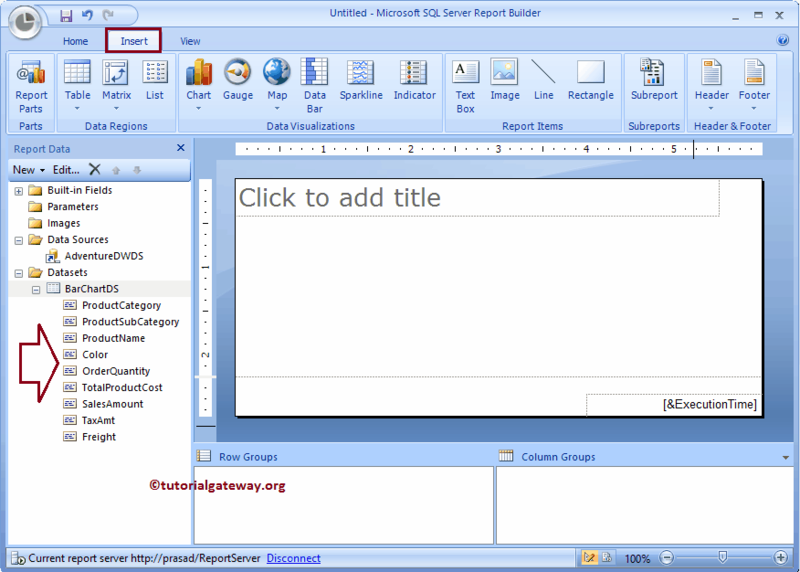 Category Group: Please specify the Column name on which you want to partition your Column Chart. 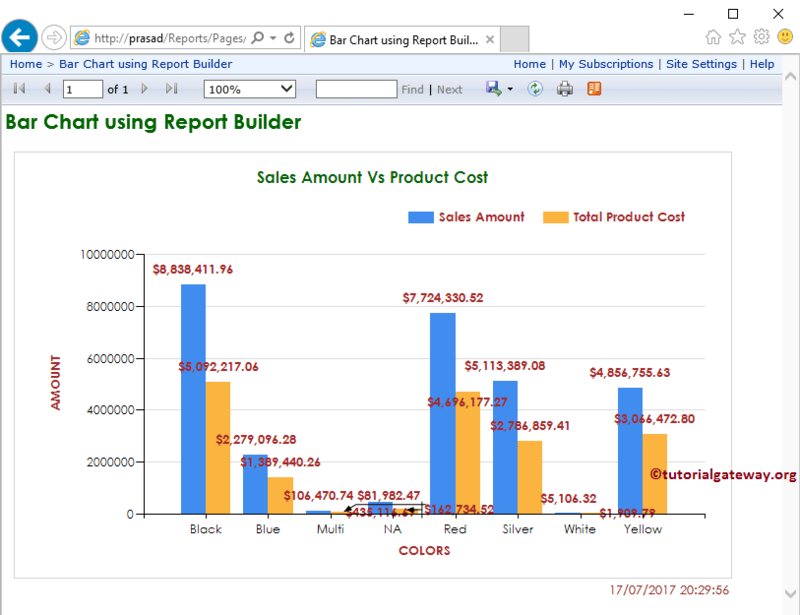 In this example, we will create Column chart for Sales Amount, and the Total Product Cost of Products divided by Product Color. So, Drag and drop the Sales Amount, and Total Product Cost column from dataset to chart data values and Color in category group. 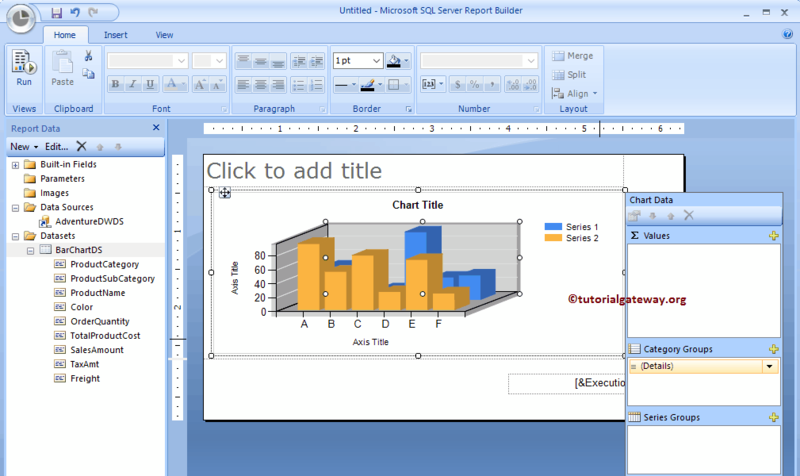 Once you click the Run button, following the Bar Chart will be generated. 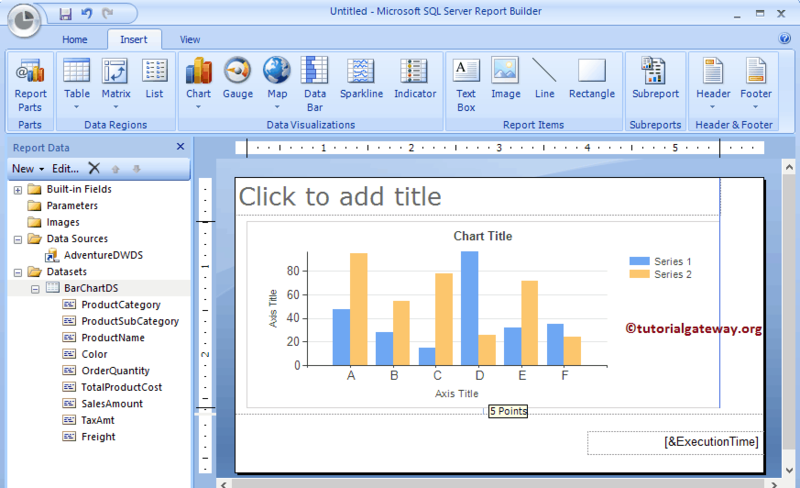 Let me change the Chart to regular Column Chart, and Format the Chart for a better look. 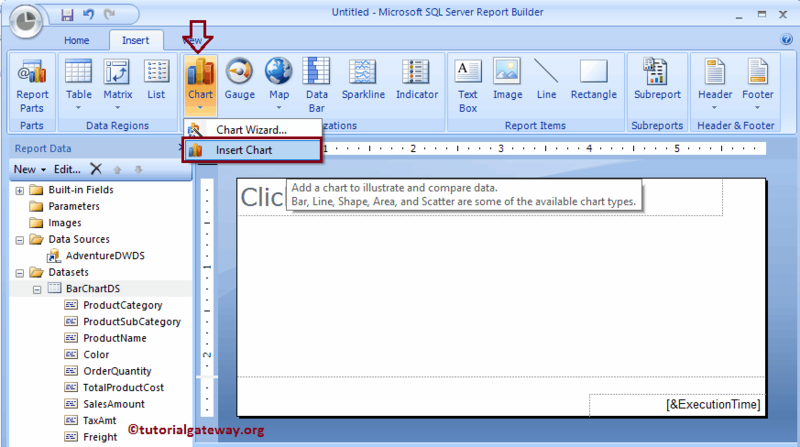 I suggest you to refer Create a Column Chart, and Formatting Column Chart to understand the steps involved in changing the Chart types, and adding Data labels to charts. 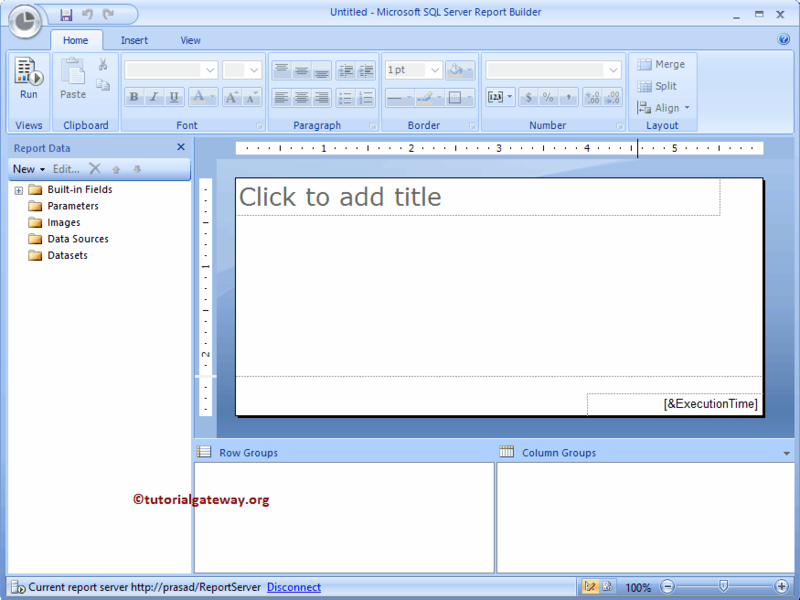 Next, Please click on the Save button to save the report in the report server.